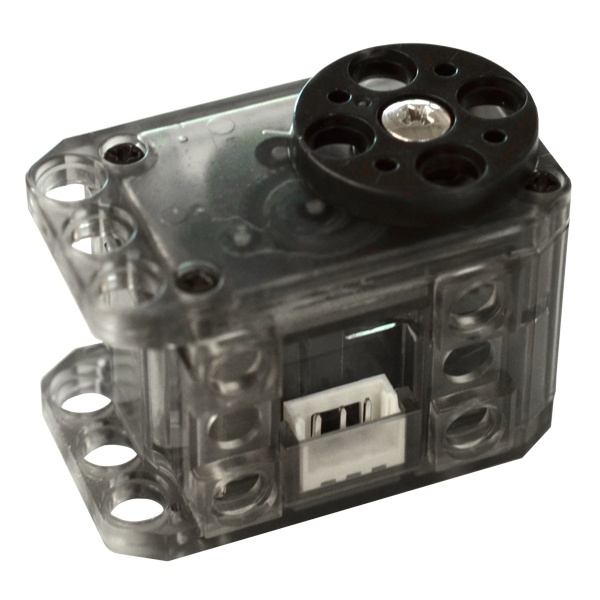 The Dynamixel XL-320 digital servo is a smart robot actuator with a built in microcontroller. 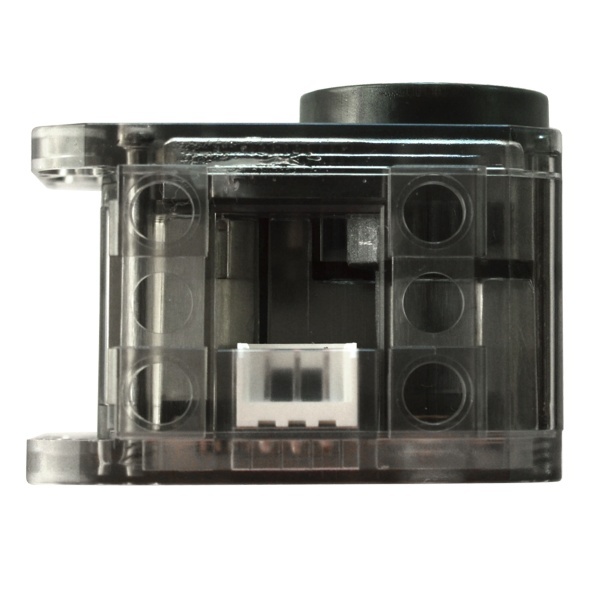 The XL-320 offers a rich set of Dynamixel smart servo features in a small translucent servo package. It has built in sensors for servo speed and position feedback, temperature, load and voltage. It also has an internal user controllable multicolored RGB LED to provide visual feedback. Dynamixel servos support a serial bus network that allow a large number of compatible servos to be daisy chained together to simplify control. The internal microcontroller understands a set of high level commands using the Dynamixel 2.0 protocol to control and query the servo actuator motor and sensors. 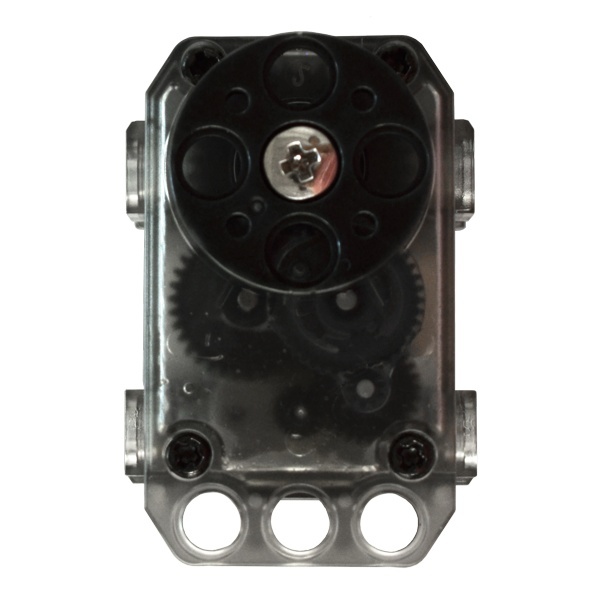 It can be operated as in actuator mode with 300 degrees of movement or as a continuous rotation servo for rolling robots. This is the same servo used on the DARwin Mini Humanoid Robot and is fully compatible with the Robotis OpenCM 9.04 family of microcontrollers. This servo can operate from 6-8.4V input voltage but 7.4V is recommended. It uses a TTL serial interface to communicate with your robot's microcontroller brain and similar servos in a daisy chain network. The package includes one Dynamixel XL-320 smart servo and one 10cm long 3 pin connection cable.